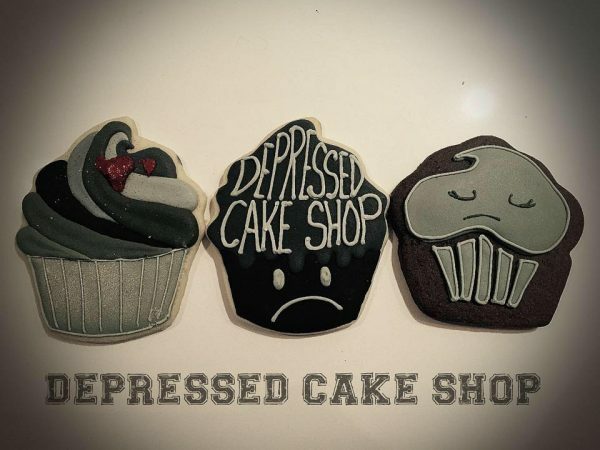 When people hear the words Depressed Cake Shop they pay attention, and that was exactly the point when UK P.R. guru Emma Thomas came up with the idea in 2013. Her theory was that in order to stand out from the thousands of fundraisers that pop up every year the cakes that were sold at Depressed Cake Shop would be gray. She felt gray would illustrate that depression is not always pretty as well as symbolize the cloud that descends over a beautiful life for the sufferer. She also correctly surmised that the unusually hued baked goods would make a statement and raise questions. 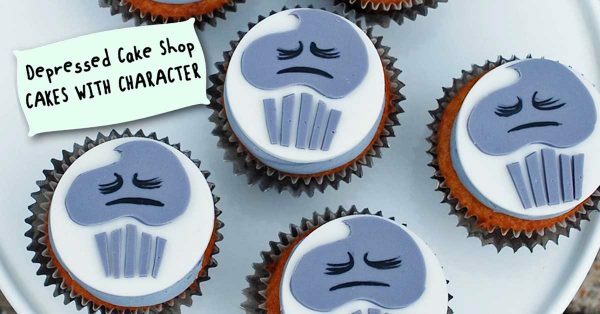 Although originally conceived as a one-off awareness and fundraiser, Depressed Cake Shop has carried on, popping up around the world, creating community, and raising over $100,000 for charities that are working the in mental health space. If you Google “depression and baking” you will find loads of information, but the organizers and bakers who have gravitated to this project did not need a Google search to tell them that the simple act of planning and baking a cake and then sharing it with friends and loved ones can do wonders to quiet a restless mind. In fact, studies have shown that people who worked on creative projects every day saw a change in their mood. In celebration of Depressed Cake Shop’s 4th anniversary, Sweatpants & Coffee wanted to introduce you to some of the bakers who would be contributing to pop ups around the world this fall. 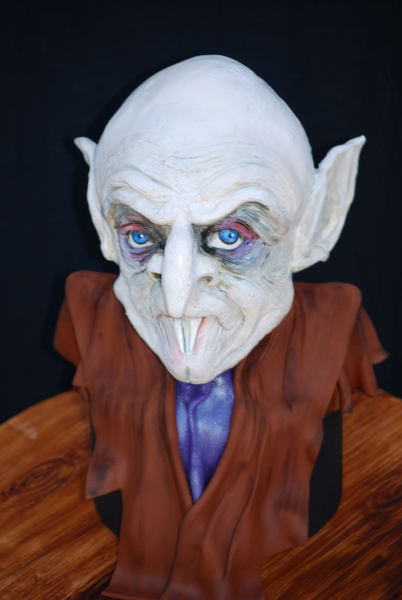 Jean A. Schapowal is a self-taught cake decorator/designer and has been creating cakes for 14+ years. She graduated from the School of Visual Arts in 1987 with a BFA in Fine Arts, majoring in cartoon and illustration, which may explain why her work has a bright pop feel. She was a freelance designer for numerous years doing logo design, wedding invites, calligraphy work, custom T-shirt designs, and murals. With the start of her family her art career began to take a different route. 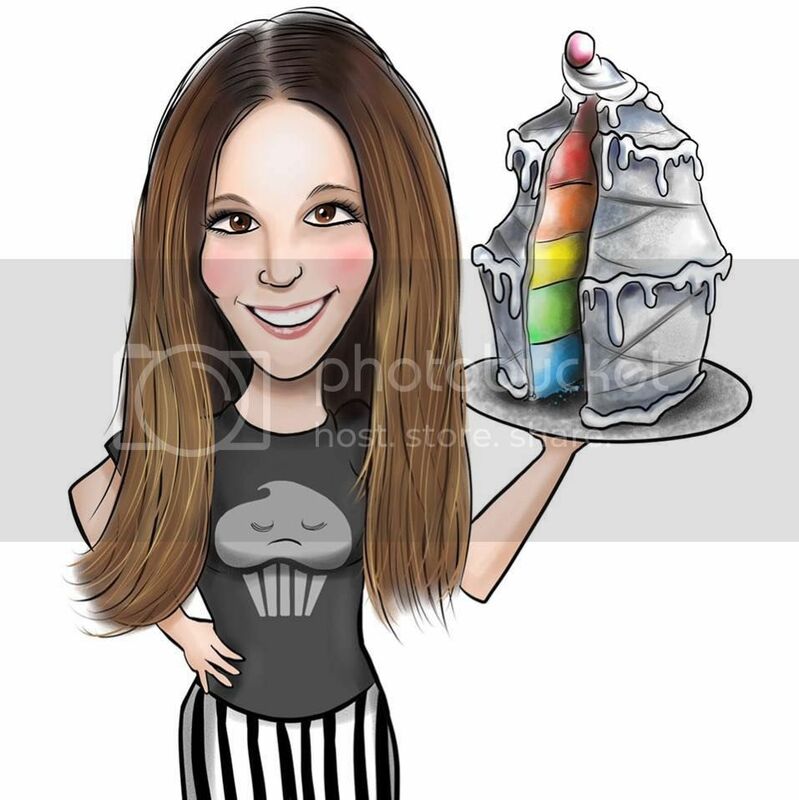 She began to create cakes for her kids’ birthday parties and Cakes with Character was born. Friends and family attending these functions would inquire about the cakes and the business grew. 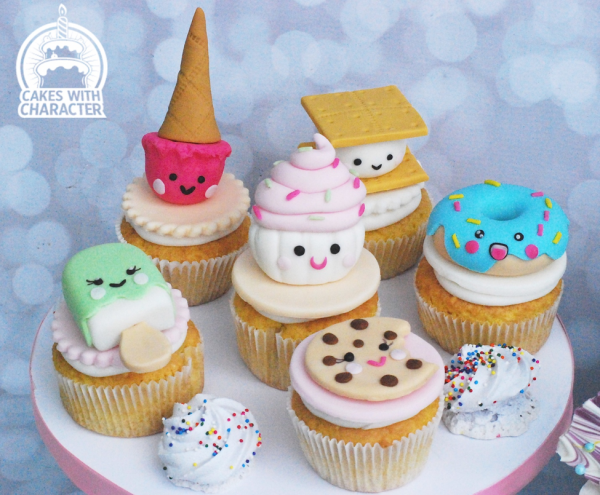 After dabbling in numerous art techniques, she found that cake decorating was an amazing and creative new medium! Simple occasion and birthday cakes began to evolve and she became more serious, experimenting with techniques, styles and designs that people were not offering on Long Island, practicing on cakes and donating to family, friends and charities. 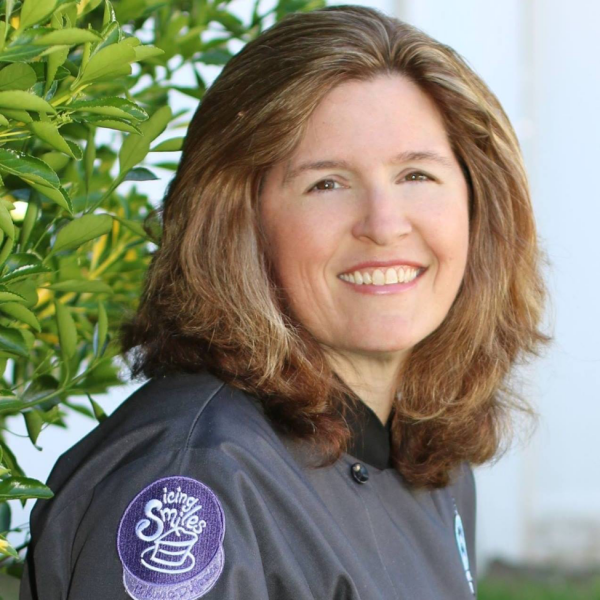 She began competing in cake shows across the country and taking the leap in competing in LIVE cake challenges. 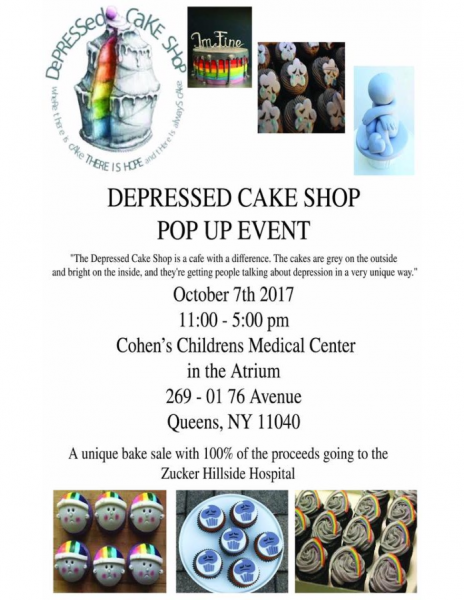 “Being a part of this Depressed Cake Shop pop up holds special meaning to me. Feb. 2018 will be 25 years since the death of my sister at the young age of 24. For most of her life she battled with anxiety, low self esteem and a host of other issues that manifested itself in drug abuse, alcohol abuse and what ultimately took her life; an eating disorder. Being in the cake community I have been blessed to meet so many people and some of those wonderful people got me interested in Depressed Cake Shop. 25 years ago there were not many outlets a sibling could turn to for help, much less information. Yes, many things have changed in 25 years but I still feel so much more can be done. The term mental illness needs to lose its stigma and so much more needs to be offered to help these individuals. Valerie Van Galder is a knitter, a baker and a beagle lover, and is inordinately fond of planting tomato plants in her back yard. She also can be found answering messages on www.depressedcakeshop.com. How I rediscovered my love of travel after my mental health diagnosis.